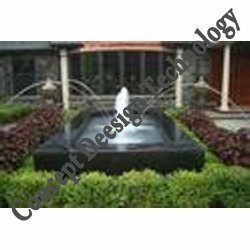 We manufacture and supply a qualitative range of Jumping Jets Water Fountain, which is connected to springs or aqueducts. Such features are utilized to supply drinking water and water for bathing and washing to the residents across different cities, towns and villages. Our range is provided in different sizes, shapes, designs and fascinating colors, which can be customized as per the requirement of our esteemed clients. Looking for Jumping Jets Water Fountain ?